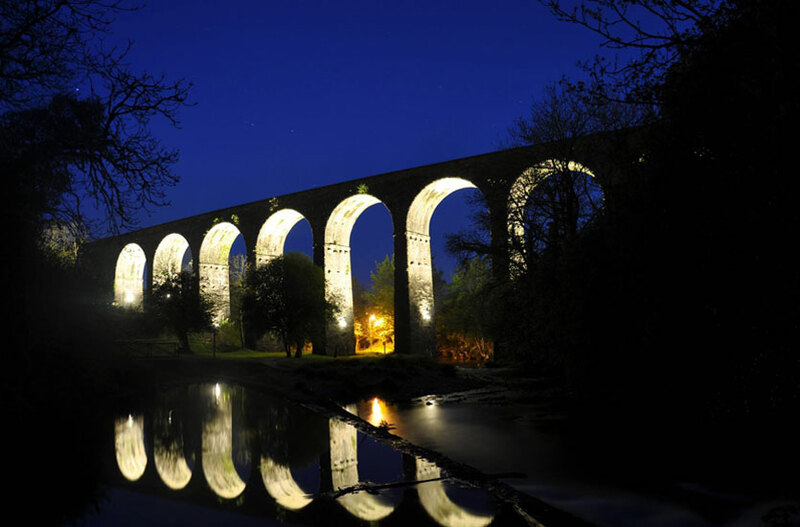 Waterford County Council recently updated the floodlighting on the Viaduct overlooking Kilmacthomas village. This Bridge forms part of the Greenway walkway. These small LED 47w LED Floodlights, supplied by VeeLite in 3K version and with Barn-doors to avoid light spill were installed at the base of the Columns to the stonework. VeeLite offer several solutions to Bridge illumination including heavy duty Floodlighting or discreet LED strip lighting systems. Please send details or drawing by email. There is no charge or obligation for suitable Projects. We will calculate the number of light fittings required and advise light levels. We will advise where they should be located and the cost of the Equipment. Other lighting may need to be added for emergency or adjoining areas.